Highbridge has carefully selected Caravan Guard insurance as they aim to provide great value for money, extensive cover and first class service from people you can trust. 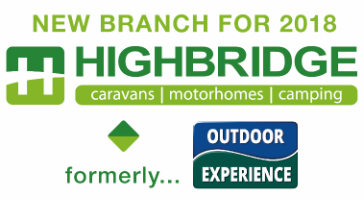 Highbridge Caravans Limited is an Introducer Appointed Representative to Caravan Guard Limited. Caravan Guard Limited is authorised and regulated by the Financial Conduct Authority. Safeguard are specialists in Motorhome and Caravan insurance. They have been building their reputation for understanding the needs of their customers for over 25 years. Just like the Great British people Safeguard love the great outdoors, caravanning, camping and travelling across our lush countryside's and visiting some of the best UK campsites. Whether you have a Caravan, Motorhome, Touring Caravan or even a Static Caravan Safeguard can help find you the best possible insurance policy.